Aside from its obvious eco-educational components, the “why I’d buy this” thing about this dollhouse, among the many available, is that it’s not your average bear. I’ve been uninspired shopping for standard dollhouses: same old furniture (often cutesy) with the same old open-back set-up. The Green Dollhouse has tons of moveable parts, access from the roll-open roof and sides and front, and all those environmentally supportive components are just damn cool to play with. Plus, it’s made by Plan Toys, known for sturdy wood toys, so it’s not going to collapse next Thursday. At nearly $200, it’s not cheap, but most dollhouses aren’t. 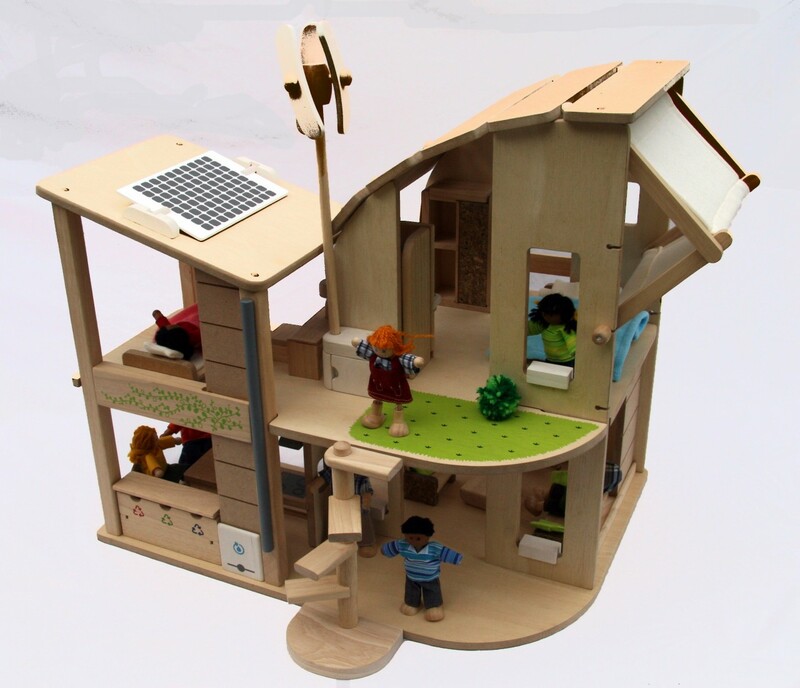 If you’re a grandparent looking to make an impression for Christmas or a birthday, are on the hunt for the right dollhouse for your toddler or just love this one enough, snap one up and get that wind turbine spinning.